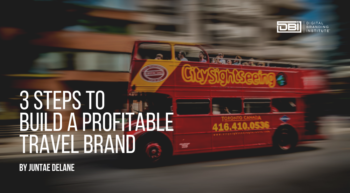 These 7 ways have been proven to build your brand awareness with some work and time investment. These 7 tips will get you moving toward bigger recognition and will utilize the aspects of your brand that you already know and love. The benefits of these ways of building brand awareness are undeniable! They have already been used and proven for you, making them a safe bet for your own brand. Whether you’re just starting out or have been trying to take off, developing your brand awareness will be a boost to your company’s success. If this term is new to you though, you may be wondering: why build your brand awareness? What makes it important to your company’s success? The answer to that lies in what brand awareness is. Brand awareness is what users know about you and your brand. This can include a familiarity with your logo, your products, and your ads. A deeper awareness can include familiarity with your brand’s vision, goals, history, and direction. Brand awareness is especially important when because it gives you a clue about how well you’re doing, how the market is receiving you, and how you differ from your competition. When you’re first starting out, it can be beneficial for you to reach out and form partnerships with more established brands. This relationship can give you a lift and spread your brand awareness to your partner’s audience. By partnering with another brand, you will immediately inherit parts of its reputation and image. It will also build your customer base outside of your original demographics. Uniqlo is a Japanese company that took this route. They partnered with New York’s Museum of Modern Artun to build their brand awareness. Every Friday from 4-8 pm, Uniqlo sponsors free admission to the museum. This really sets them apart from their competition. As a company that provides casual clothes for all kind of people, this unique partnership was necessary to break out from the crowd. When you find a brand to partner with, make sure to find one that represents similar values. They don’t have to be exactly the same, but your brand will take on some of their social standing and you’ll want it to reflect the same values that you’ve built into your own brand. If you think about the people already interested in your brand, you might realize that each one of them could be a contact to hundreds of more people. The question is: how do you contact all of the people your current followers know? The answer is simple: refer a friend. Referring a friend can be easy if done the right way. Give your followers an incentive and they will refer their friends quickly and without question. Dropbox utilized this in their brand, and have seen increased sign-ups by as much as 60%! Dropbox made their users want to refer their friends by giving them an incentive. Basic accounts can get 500 MB of more space per friend that accepts their invite, with a cap of a possible 16 GB. Their business accounts get 1 GB per accepted invite with up to 32 GB possible. Dropbox even makes it easy for you to know the status of your invites so that you, the customer are doing the work of tracking down people and convincing them to join Dropbox. The main company, Dropbox, has to do very little in the invite process, just offer you a small incentive and then you’re happy to do all the work for them. This may feel contrary to what you know, as launching as a closed beta will literally close you off, but it can have big results. Launching as a closed beta can build drama around your brand which will bring people in. With a closed beta, people will have to receive invitations and sign up to actually use the service that you’re providing. This can create a lot of buzz. Evernote is a brand that decided to go this direction. The resulting product, entitled Evernote, was launched February 2008 in a closed beta with the goal of gathering a 10,000 member test crowd. The numbers quickly surpassed 10,000 and eventually reached 125,000 within four months at the end of the closed beta trial. In June 2008, Evernote was launched publicly and is steadily increasing in size with over 30 million members presently. Exclusivity will create drama and bring attention to your brand. Plus, if you make sharing mandatory (like Evernote did), it will spread the word quickly. 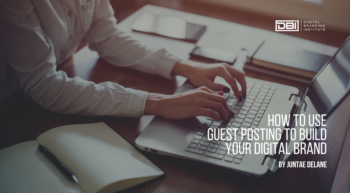 Guest blogging can be a great way to build your brand’s awareness. Often when taking this route, it will be necessary to start small until you get enough credibility to write for bigger sites. This means you won’t be featured on HuffPost right away, but with enough effort and expertise, you could get there. Seek out prominent websites in your specific niche, and start out really specific. The more you shape your search in the beginning, the smaller, but more relevant crowd you’ll find and generate right away. Guest blogging bumped Buffer up from 0 to 100,000 users in just nine months! They stuck within their unique niche and just kept writing. Starting with smaller sites and then growing to the most popular in their industry, they worked hard to get their brand out there. The growth using this technique was gradual, but now accounts for over 70% of Buffer’s daily signups! Infographics are a bright and interesting way to share information quickly. The content in an infographic are also usually shared, making them an easy way to spread your brand. People tend to respond well to the bright colors and short blurbs of information that infographics give. Kissometrics created 47 infographics which generated 2,512, 596 visitors, 41,142 backlinks, and 3,741 unique referring domains. All that brand exposure with just 47 infographics! Using a free product can be a great way to draw people into your brand. Your user experience is what will affect your online conversion, so giving your users something free right away is something that will definitely make your users happy. Qualaroo is a popup survey device that allows users to build websites as a freemium product. If a user utilizes this option, the their website will feature “Powered by Qualaroo [?]”. If visitors click on the question mark, it would take them to a signup page for a free trial of the product. The only way to get rid of this bar is to upgrade your account to a paid account. Your free option gets your brand name out in front of people, and gets them using your product. This moves your brand in the right direction, and if they like what you do enough, then they’ll be willing to upgrade to a more professional look. Adding a human element to your brand experience will make you more trustworthy, and will make your followers feel like more of a community. Adding a way for your users to communicate with each other will also build the feeling of community. Let your followers bond together over shared experiences and interests. Making your brand more social can even just mean that you build it up on social media a little more. Create a Facebook page for your brand where people can talk to each other, and where you can easily talk back. Make your brand feel personal and real. This will garner the trust that you need for your brand to grow. Yelp used this tactic in their site by having each reviewer have their own profile on their site. This made each review feel more personal and real. It also allowed users to use Yelp as a reputation building site. Adding these touches made Yelp give their users a positive experience and let their users feel like they were getting more out of the site than a simple review. Incorporating social elements is a great option to get people involved in your brand and will definitely help it grow. Building your brand awareness can feel daunting when you’re first starting out, but these seven different ideas are a great place to start. Partnering with other brands with similar values will give you a new audience base. As will asking your followers to refer their friends. Launching with a closed beta will develop drama surrounding your name, and giving your brand a social presence will let your users communicate with each other. Participate in conversion optimization, guest blog, and create infographics to really grab your users’ attention and you’ll be well on your way to building up a successful brand. What brand awareness techniques have you used?